If Impulse buying was a sin, everyone would have committed it. The funny thing about this topic is that most individuals do not know about it, even while partaking in it. That is why we are sharing this topic. In fact, You will be shocked at the end of the day. Impulse buying is an unplanned, spontaneous and intense urge to buy a product when you didn’t really budget or plan to buy it. It occurs when a consumer experiences a sudden, often powerful and persistent urge to buy something immediately. These purchasers regret the purchase after purchasing the product. Most people blame the cause of impulse buying (purchasing) on fun, fantasy and social pleasure. A final definition for it is the purchasing of a product that caught your eye (or you think you needed) without being forced. It is called impulse buying because it happens as a result of a sudden impulse. 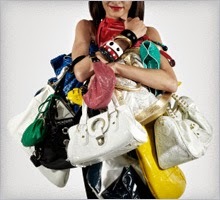 There is a belief that Women are materialistic shopaholics but it’s not true. A research archive on Indian Express has confirmed that Men spend more on impulse buys. That is, they buy things they don’t need (Every man should know why he buys things he doesn’t need)… Hmmm, that should be when they buy things for women. Now, back to the causes for women! 1. Shopping Addiction: Pardon the title but some women don’t leave a shopping mall unless their cart is full; even when their cart is full, they still want to buy more products that they did not plan to buy. This is a perfect example of impulse buying. They tend to fall in love with all the product in the market. Do not take someone with this habit, he/she might put you in trouble or you’ll end up not buying a thing for yourself. 2. Discounts: Yes, discounts come with a well crafted promotional message. It’s difficult to look past an advert that says “Buy 1 and get 2 free,” or similar tempting offers. Usually, most vendors do this to attract more customers and it works. Who wouldn’t want to buy a product for a cheaper amount of money. 3. Promoting A Friend: If your friend is selling a product and you want to promote her products or help her make sales, you end up buying products you don’t need just because she is a friend. This is not bad but you end up feeling bad because you spent your money on a product you might never use.This is one of the most avoidable means of impulse buying but most people fall for it even when they don’t want the product at all. 4. Adverts and All that Glitters…: When you fall for a NEW product you have never used because of it’s packaging or the way it’s being advertised, you end up getting it. A few times you’ll realize the product is not worth it. We’ve all had similar experiences on this one. 5. Recommendations and Ethics: Nigerians (Igbo’s especially) are synonymous with this method. They could lure you with sweet mouths to make you LOVE a product. They will attribute all sorts of names and functions to a product for you to get it, just because they want to make sales. This method is more like a teacher, once it happens, you won’t fall for it again. Unless you didn’t learn your lesson. Mind you, you are not being forced to purchase it, that’s why it’s called impulse buying. 3. Say “No” to offers you didn’t budget for. If you can’t, simply tell the seller/advertiser that you’d check it out on your next visit, you just might then. 5. Be contented with the ones you’ve purchased for the day. The market/mall will not die. 5. And while some people will ask you to go shopping alone, others will ask you to take someone that would remind you when you’re making too many purchases. It’s possible but you would buy for whoever you went with… won’t you? There you have it. Again, Impulse buying (purchase) is an unplanned, spontaneous and intense urge to buy a product when you didn’t really budget or plan to buy it, either ways, no one forces you to buy the product(s).